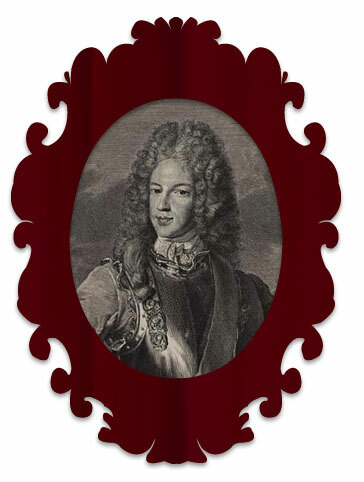 James, son of James VII by his second wife Mary of Modena, grew up in exile at the palace of Saint-Germain-en-Laye and was recognised by Louis XIV of France as king of England, Scotland and Ireland. Meanwhile, acts were passed under William II to exclude James from the throne and secure the Protestant succession. The misfortune that would haunt all Jacobite attempts to regain the crown was in evidence in 1708 when a French backed attempt failed to land James in Scotland. He subsequently enlisted with the French army and fought in Flanders. James was always at the mercy of the wider political situation: English treaties with France would include articles requiring the withdrawal of French support for the Jacobites. However, in 1710 a change of government in Britain encouraged Jacobite hopes that James would be proclaimed king on the death of Queen Anne. James’s refusal to renounce Catholicism made his accession impossible and it was George I who came to the throne in 1714. With the new king came a new government that offered no hope of a political solution for the Jacobite cause. A military option was the only course left open to James and so the scene was set for the rising of 1715.